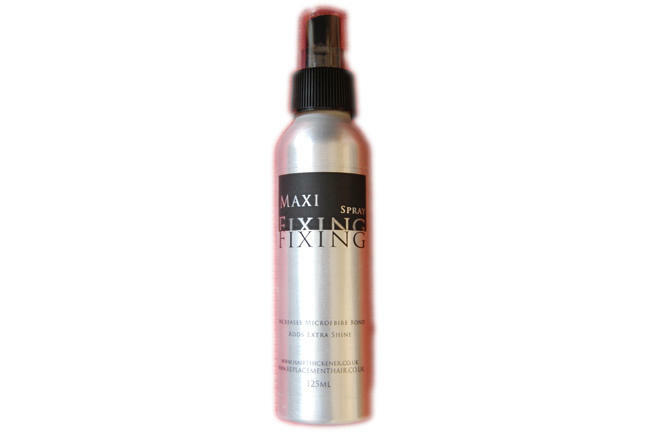 A fine mist developed to increase the bond between microfibers and your thinning hair. Unlike ordinary hair sprays, this formula uses sophisticated ingredients to hold the fibers in place and a pump action spray so it doesn't dislodge the fibres from your hair. You can even brush the hair lightly after the spray has dried for a softer style with ample fiber holding power. The product settles evenly over your hair without making it heavy, helping the microfibers to bond further to your hair and adding shine.